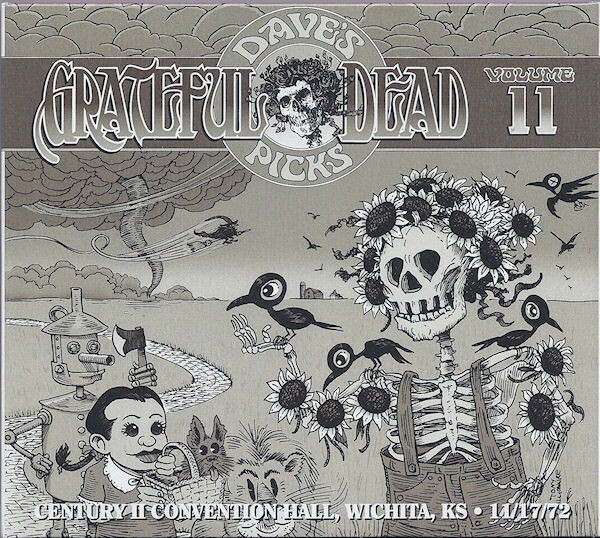 Easily the best show in the Dave's Picks series so far and a pick from the winter tour which hasn't been nearly as well documented on official releases or the trading circuit as the rest of the year. And not only is the full show here, but it fit so well on just over two discs that there's some excellent filler from the 11/15 show added as well. I've heard a couple dates from this late in the year that were good, but not as strong as usual, that in some ways this Wichita show feels like a return to the Fall tour. It's got a great "Bird Song," a quality "Box of Rain" and a terrific "Cumberland Blues," as well as a terrific "Truckin'" > "Other One" > "Brokedown Palace." Unfortunately, like most of the Dead.net releases in the last few years, these go really fast now. But at least at this point I'd have to say almost 2/3 of 1972 has been released now.